Marilyn Cornwell Blog: Countdown to Christmas - Enjoy the Reflections! Countdown to Christmas - Enjoy the Reflections! 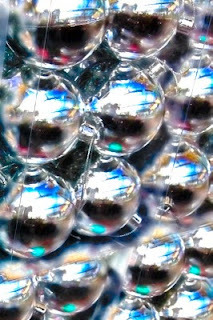 Today's countdown image reveals the amazing colour and reflections in simple silver ornaments.